This is a unique and fun multi-house arrangement for multiple cats. The first platform is 12″ from the ground level and the second house is 36″ from ground level. The whole townhouse system is supported by 3″x3″ treated posts that will resist wind, rot, and warping. 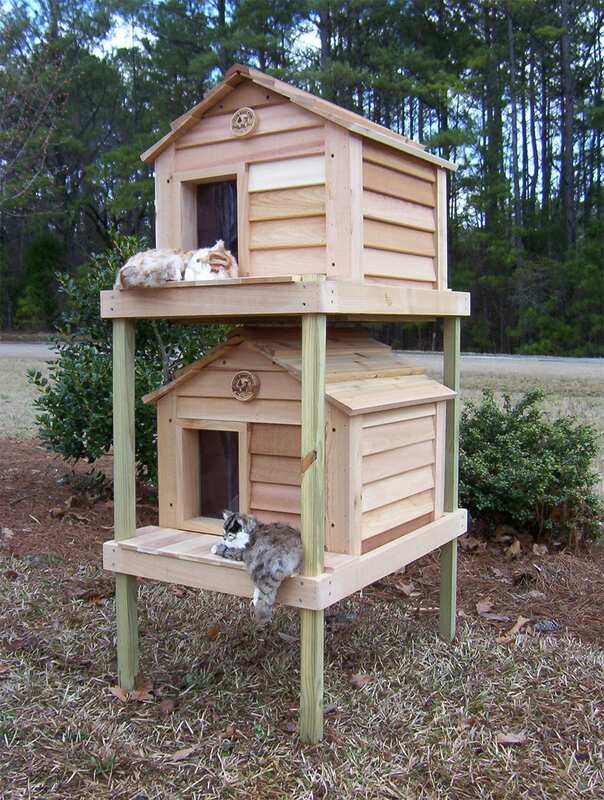 The “upper bunk” is easily reached by most cats in a single bound, but with the front and back decks, even the fattest cat can climb to the top house! It’s fun, very practical, and it looks like something cats would design and build for themselves!